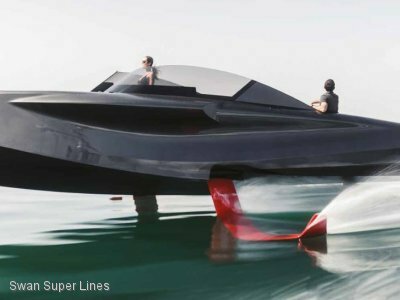 A world class retro sports boat with new technology, sporting classic lines, seductive styling and exceptional ride. 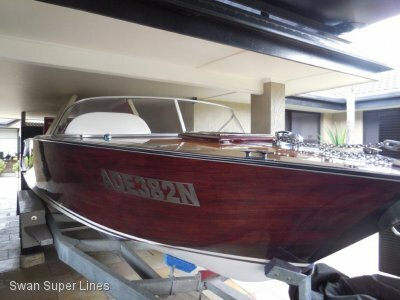 A complete mahogany build with a triple skin, mahogany frames as well as silver ash inserts in the deck, grp reinforced bottom, stainless steel cutlass, and marine fittings. 22 coats of deck finish, pop up DVD screen and capable of speeds in excess of 40 knots. In addition a cockpit bimini cover that folds away. A hand crafted vessel built on the Gold Coast exported world wide. This is the company demonstrator used at Boat shows, special events and launches. Now offered complete with Dunbier dual axle trailer, electric braked and winch. Mercruiser 300 hp stern drive with Bravo one leg, fwc. 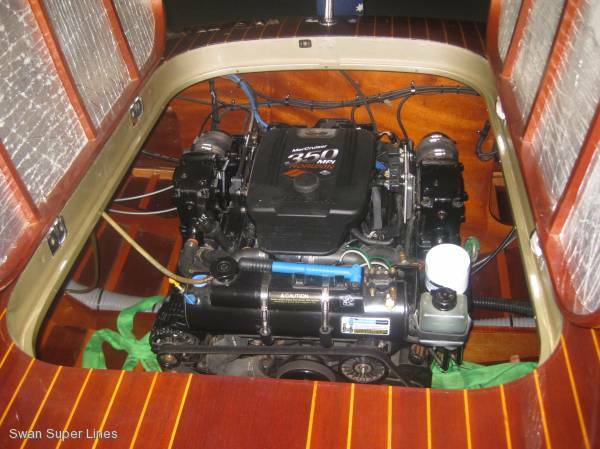 Today mass produced boats are common making this PEGIVA an absolute stand out. Company demonstrator that has been the show piece of craftsmanship. 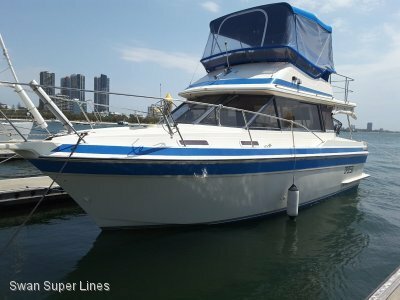 Ideal super yacht owners tender, specialist runabout, sports boat enthusistics. A must have for those who appreciate luxury, passion and perfection.